Nancee Reeves, a lecturer in the UGA English department, and Nicole Lobdell, who received her PhD in English from UGA in 2013, wanted to teach H.G. 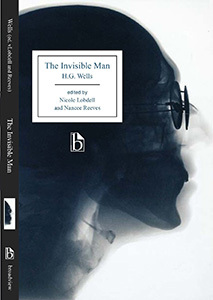 Wells’s classic novel The Invisible Man (1897), but in 2014, no academic editions that fit their needs were available. Together, they approached Broadview Press and pitched an edition that would offer readers, scholars, and students an in-depth look at the cultural influences and scientific innovations that inspired Wells. The edition they created situates the novel within the contexts of 1897, offering readers an opportunity to experience the work as readers of the fin de siècle would have. Broadview editions are prized for their appendices, which are designed to enrich the reader’s experience and understanding of the cultural and social forces that shaped the literature. As part of this edition, Reeves and Lobdell included appendices that situated the novel not only within the scientific and technological influences of the day, but also the forces that shaped Wells’s thinking about issues of class and socialism. Of special interest to members of the UGA English department might be the three appendices devoted to reviews of the novel, which struggle with the conventions of genre and question whether the novel is even science fiction; Wells’s correspondences about the novel, including letters between Wells and Joseph Conrad; and an appendix that showcases excerpts from six different nineteenth-century invisibility narratives, including several from which Wells may have liberally borrowed. Now considered a work of classic science fiction, The Invisible Man is more controversial than most readers realize. This edition will remind readers of the class and race issues within Wells’s work that inspired Ellison to confront and adapt them in his groundbreaking 1952 novel Invisible Man. With its depictions of violent ambition and invisibility both real and metaphorical, Wells’s novel realizes how one scientist’s drive for fame can threaten the safety and sanity of a whole community. 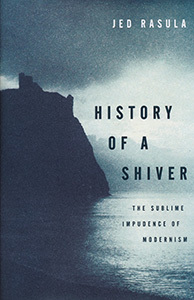 History of a Shiver by Helen S. Lanier Distinguished Professor of English, Jed Rasula, addresses modernism as an expanding historical force generated by the nineteenth-century fascination with music, as all of the arts sought renewal by a kind of aesthetic miscegenation. Richard Wagner’s concepts of the Gesamtkunstwerk and “endless melody” were of paramount historical consequence in elevating music to a universal aesthetic standard, spawning Wagnerism, the first among modern “isms.” Modernism promoted interaction among the arts, with each art aspiring to produce the effects of another artistic medium. In pursuit of this expansive initiative, modernism adhered to the precept that a truly modern art should be the work and the theory of the work at once. Artworks were accordingly infused with a premonitory shiver, a synesthetic yearning, as if each painting, literary text, or musical composition might herald some unprecedented domain—auguring a cultural equivalent of the fourth dimension. Surveying this momentous interplay among arts, History of a Shiver traverses literature, music and painting, theatre, cinema, dance, photography, and civic pageantry.